For a long time I wasn’t doing work I loved. It felt like something was missing in my life. I wanted to be able to travel. To learn new languages. And be in control of my time. I started my journey in 2006. It wasn’t until 2009 that I finally began putting the pieces of the puzzle together. I spent thousands of dollars and hundreds of hours making mistake after mistake. I’ve been running a successful online business for the past three years. It allowed me and my girlfriend to spend most of 2010 in Spain. I learned Spanish, made friends and had exquisite amounts of fun. Now, I’m spending time at home with my newborn son, Vincent. But it wasn’t always like this. I’ve made a lot of mistakes. I’ve gone through periods where I wanted to throw in the towel. However, the truth of the matter is that if you keep taking one small step each day, you will see massive results. That’s what I did. But it goes much faster if those steps are the right steps. So where do you start? I recommend you read The Beginner’s Guide first. If you’re completely new to building a lifestyle business (or an online business) around your passion, then I recommend you start with the beginner’s guide. 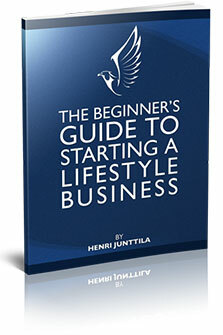 The Beginner’s Guide to Starting a Lifestyle Business is completely FREE. You can download it right away without having to do anything. Can anyone really build a lifestyle business? To download the FREE beginner’s guide right now, right-click here and choose save file as. And if you want to dive deeper, check out the articles below. Do You Make These 5 Mistakes When Trying to Get Paid to Do Work You Love? 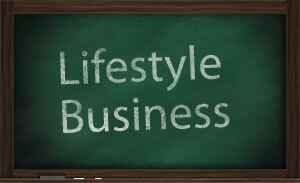 Do You Know The 5 Essential Factors for Lifestyle Business Success? What Can You Teach If You’re Not An Expert? If you’re overwhelmed with all the information and don’t know where to start, you should join the Wake Up Cloud newsletter. When you do, you’ll also get my free special report to get you started on the 7 Steps to Building a Business Around Your Passion. After that, you’ll get 1-2 emails from me per week filled with great tips and training. Simply fill in your email below, hit submit, and let’s get started.